I finally got caught up on "best thing i ate last week" and then immediately got sidetracked once again. But rebounding will be quick. We spent the weekend before last on the left coast again, as Mrs. F had a conference in Monterey. 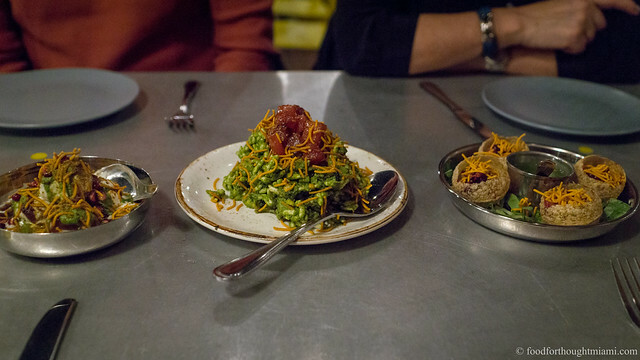 While Aubergine in Carmel-by-the-Sea would be the dining highlight of our visit (you can sneak a peek at the pictures here), that wouldn't be until later in the week and there were many meals to be had in the interim. Lately when traveling, I've been using Google Maps as a form of aerial restaurant reconnaissance, scouring nearby neighborhoods for places that might not turn up on the usual lists. I doubt I would have found Mariscos Puerto Nuevo otherwise. But there was a promising density of Mexican restaurants in Seaside, a town just north of Monterey that felt less hoity-toity than its other neighbors, Carmel and Pacific Grove. And the menu sure looked right: scan past the usual suspects, and true to the name, there's a focus on oceanic dishes like ceviches, cocteles, and seafood soups. (You can see all my pictures in this Mariscos Puerto Nuevo flickr set). 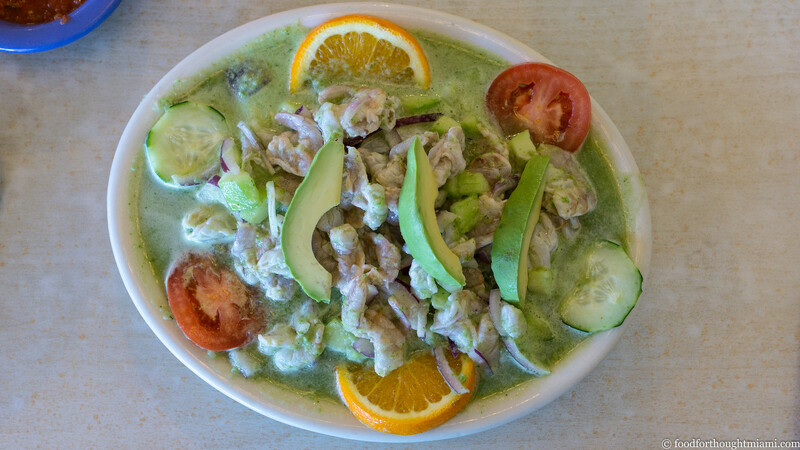 Like these camarones en aguachile verde: sweet raw shrimp, swimming in a bright green sauce rippling with citrus and chile, simultaneously cool and spicy. More freshness from some cubed cucumber suspended in the marinade. A few slices of dead-ripe, creamy avocado. This, along with a crisp tostada topped with octopus ceviche, was a pretty perfect lunch. That looks delicious! I always love cool and spicy as a combo. It's a little confusing to your mouth but tastes so good.